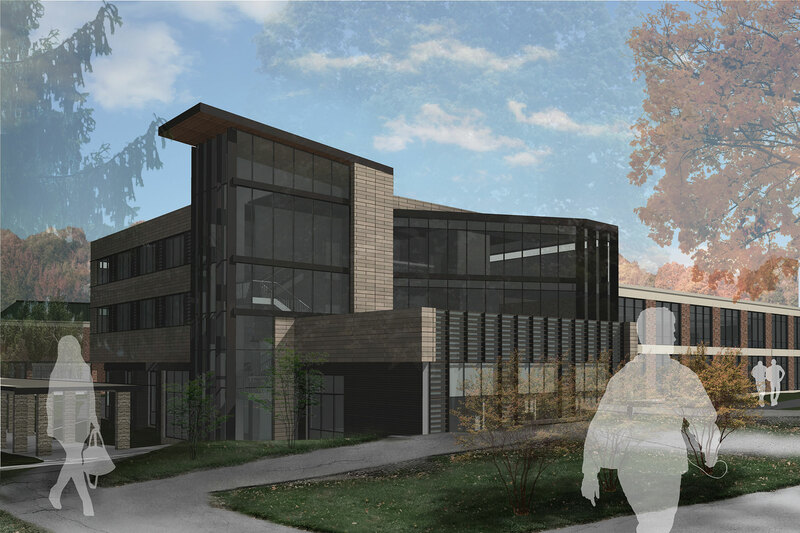 Principia College wanted to create a new vision for their Core Academic Project, which includes the School of Nations, School of Government and the Marshall Brooks Library. Constructed in the 1960s, the buildings have varying degrees of aging systems, environmental considerations and outdated programmatic constraints. To enhance the student and visitor experience, Lawrence Group created welcoming entrances with improved vehicular traffic flow and wayfinding. 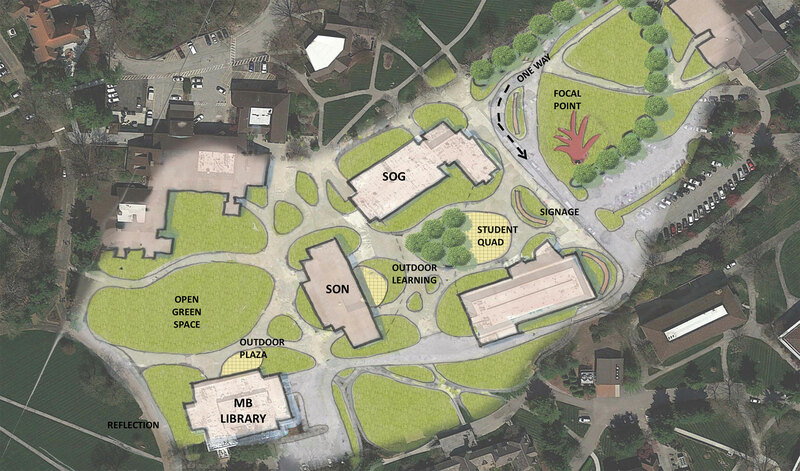 Land use improvements included a plan to create a direct route from campus entry to Admissions by planning a new central campus road. An “active” and “reflective” student quad enhances the exterior student learning and collaboration spaces. Updated technology, acoustics, and lighting in both academic and social spaces combined to significantly improve the student experience.